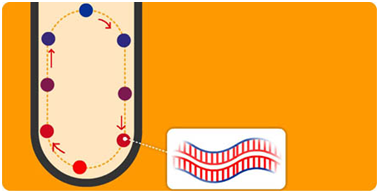 POCKIT™ is a qualitative PCR amplification and detection system based on Insulated Isothermal PCR (iiPCR) technology, which applied the concept of Rayleigh-Benard convection to drive PCR by a single heating source at the bottom of capillary tubes. 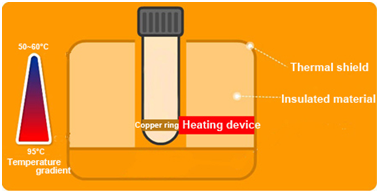 Unlike conventional PCR, which requires several cycles of heating and cooling, iiPCR is accomplished through the temperature gradient generated from the thermal convection with its reaction time significantly reduced. 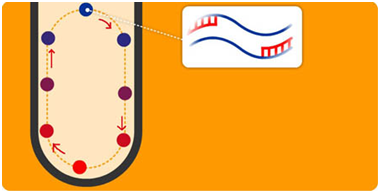 POCKIT™ is intended to provide qualitative detection of nucleic acid targets using fluorescence-based iiPCR reagents, and is equipped with up to two optical channels (520 nm / 550 nm) for multiplex detection. The qualitative results are readily displayed on the touch panel monitor without post amplification manipulation. 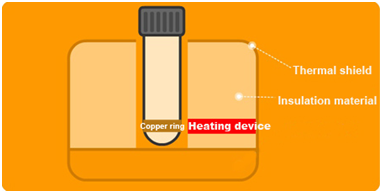 Insulated Isothermal Polymerase Chain Reaction (iiPCR) technology provides isothermal heating at the bottom of special-designed capillary tubes to induce a natural thermal convection to drive the PCR reaction along with the temperature gradient in an insulated environment. 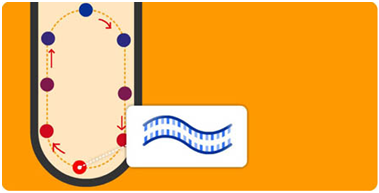 This technology can reduce the reaction time significantly, and also inherits the advantages of sensitivity and specificity from PCR assay. The environment is insulated by a radiation shell. Natural thermal convection is induced by heat. 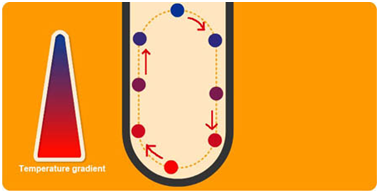 Thermal convection drives fluid cycling and results in PCR reaction. 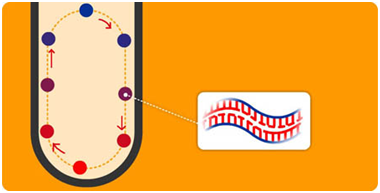 DNA is duplicated with the completion of one cycle of thermal convection.